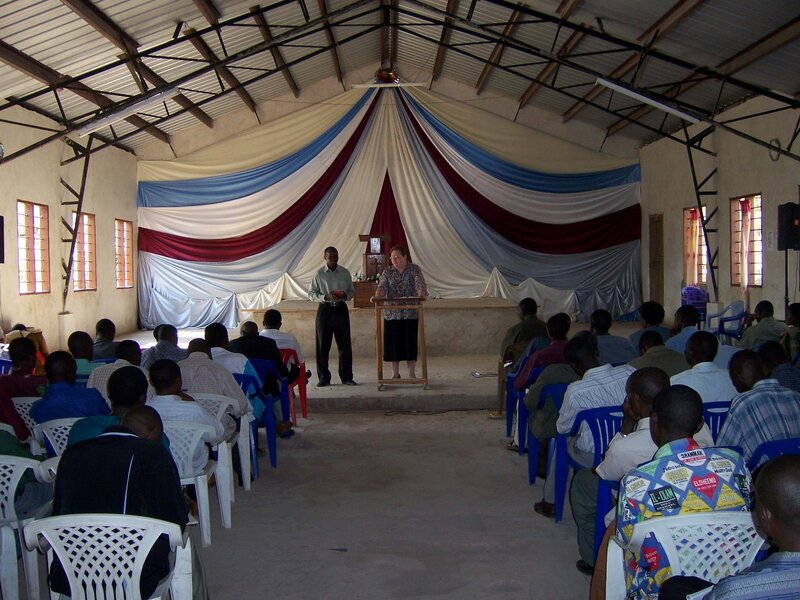 It was our joy and pleasure to teach at two of the morning chapels this past week at the Mwanza Bible School. This school is dear to our hearts; we finished building it and dedicated it right before we left at the end of our first term in Tanzania in 2001. There are 77 students enrolled this semester from all over the western part of Tanzania; they have a desire to be trained to do the work of the ministry. Most have made great sacrifices to be able to attend and some will come with only partial tuition and trust God to provide the remaining amount before the end of the semester. The school will allow them to come and stay if they can pay at least half of their school fees, but the remainder must be paid before they can return for another semester. These are men and women who have answered the call of God and have made a commitment to receive the education and training they need to carry out their responsibilities. Chapel services are a time of great rejoicing, but also a time of earnest prayer for God to provide for their needs as well as for the needs of their families and churches that they have left in order to receive their formal training. It is a privilege to be able to be a part of their lives for the time that they are here in Mwanza. We will see them in the years to come scattered around Tanzania fulfilling their respective places of ministry.